The Japanese market Nissan Silvia S15 has been a favorite among 240SX enthusiasts since it debuted in 1999. Many north american 240SX owners have aspired to do conversions to update their S14 platform to the S15 design that never made it to our shores. 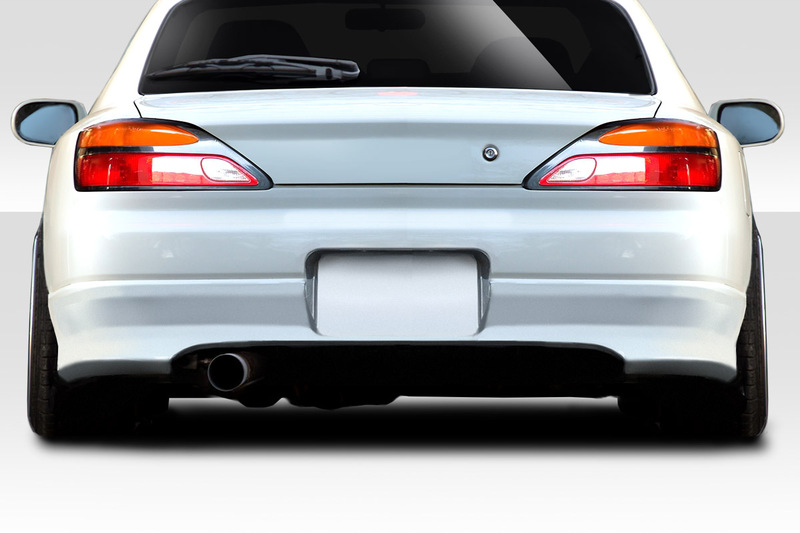 Look no further than Duraflex when you are in the market for an S15 body kit. 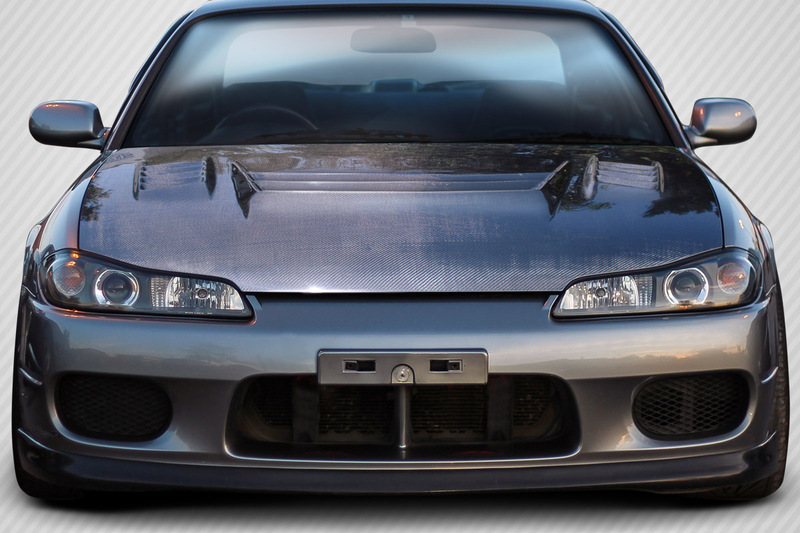 The Silvia S15 front clip features some of the most stylish headlights to come out of Japan in the late 1990’s. The S15 Silvia features a restyled front bumper, fenders, and hood to accent the new headlights. Although the S15 was never offered in the North American market we now make it a possibility to give your S14 a face lift. 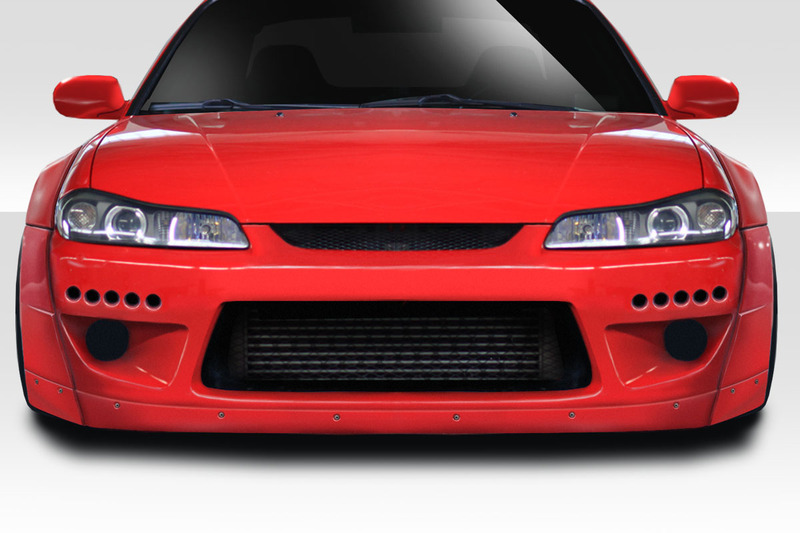 We offer 6 different and unique styles of front bumper for the S15 Silvia. All of these bumpers are styled after popular JDM offerings and really add a unique style that is certain to attract attention wherever you drive. 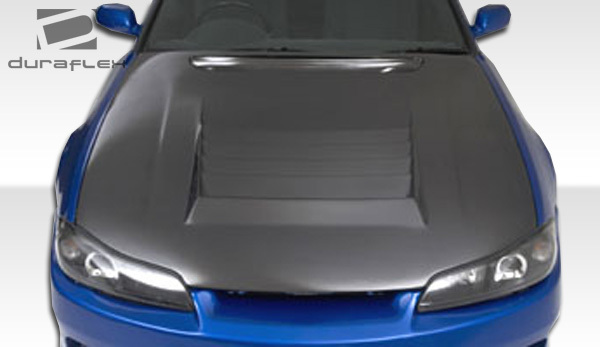 We offer carbon fiber hoods and fiberglass hoods for the S15 Silvia. 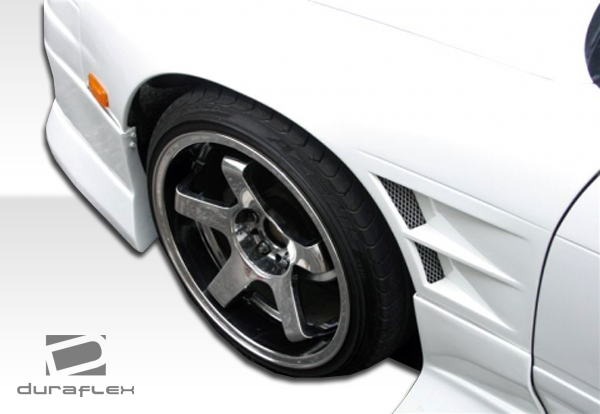 Styles include oem style just like the JDM model came with. Additionally we also offer vented hoods that aid in cooling by allowing fresh air in and getting hot air out.